Living with arthritis is not easy! The painful joint restricts your regular movements and this can affect your overall lifestyle. People who have arthritis suffer from a lot of discomfort and pain all the time. Taking pain reducing medications each time is not easy too as it causes several side effects including severe gastric acidity. However, there are some natural therapies that work effectively in various arthritic conditions. Before proceeding, let’s quickly take an overview of what arthritis is and what are the risk factors that may increase your chance of developing arthritis. Arthritis is caused due to inflammation of joints or breakdown of the cartilage cushion present between two bones. An intact cartilage prevents two bones from rubbing against each other. However, once the cartilage gets damaged, the cushioning effect is lost and the two bones start rubbing each other to cause a lot of pain, stiffness and also swelling around the joints. 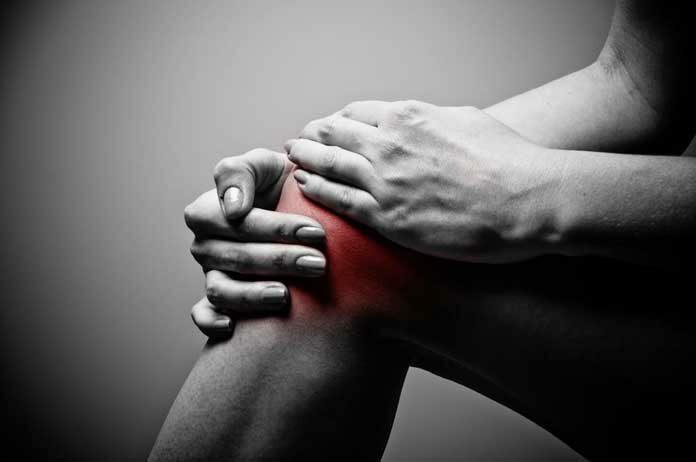 Although arthritis is a condition of bones and joints, certain forms of arthritis may also affect muscles, skin, and other connective tissues. The two most common types of arthritis are osteoarthritis and rheumatoid arthritis where the bones or joints are affected. Other types of arthritis include psoriatic arthritis and fibromyalia, which affect the skin and muscles respectively. People who are obese, have had a joint injury, or older than 40 years are more likely to have arthritis of joints. Location of painful joints eg. Knee, hip etc. Accordingly to one survey conducted in India nearly 80% people suffering from osteoarthritis and rheumatoid arthritis reported use of herbal Ayurvedic medications, 34 % people used yoga, and 20 % used homeopathy to treat their condition. This means natural therapies are used very commonly to treat arthritis. Research suggests that disability, pain, helplessness, and medical uncertainty are some of the common reasons why people turn towards natural medicine for arthritis. Let’s have a look at some of the popular natural therapies. Extracts from plant such as Boswellia Serrate (Indian frankincense) and Wintergreen (Gaultheria procumbens) have anti-inflammatory and analgesic (pain-relieving) properties. The herbal extract of Boswellia Serrate interferes with the production of prostaglandins and leukotrienes (inflammatory chemical substances that cause pain) and thus helps in correcting the pathology behind pain. Capsaicin (Capsicum frutescens) too shows pain-relieving properties and has been shown to reduce joint pain by almost 50% after three weeks of use. Yoga is a popular form of mind-body practice that involves a variety of stretching exercises. The stretching exercises associated with yoga help to improve joint flexibility in some types of arthritis. Some studies reveal that yoga improves pain disability, reduces fatigue, and also reduces mental stress in people suffering from rheumatoid arthritis. Ayurvedic treatment of arthritis focuses on correcting digestion and metabolism, and reducing joint pain using massage as well as panchakarma therapy. Most therapies use medicated oils to lubricate the joints and also strengthen the muscles surrounding the joints. Virechanam and Basti are a part of panchakarma therapy that help to remove unwanted toxins and vata vitiation through induced purgation. Abhyangam is a full body Ayurvedic massage with herbal oils that reduces joints pain and also lubricates them to improve flexibility. Upanaham uses special herbal paste to cover the joints to reduce pain and inflammation. Acupuncture uses fine needles that are inserted at special acu points on body. Acupuncture is a part of Traditional Chinese Medicine (TCM) and works towards improving the energy balance in the body. Research reveals that acupuncture also effectively reduces pain and improves the joint function in people suffering from knee osteoarthritis. TENS uses electrical current to stimulate the nerves around the joints. Experts believe that TENS therapy interferes with the transmission of pain to the brain and thus reduce the sensation of pain. TENS has been found to be effective for treatment rheumatoid arthritis. Dietary supplements such as omega-3 fatty acids obtained from fish oil are thought to reduce joint pain by blocking the pain mediators such as prostaglandins and interleukin. Some studies reveal that people who take fish oil supplements need less conventional pain medications such as non-steroidal anti-inflammatory drugs (NSAIDs). In addition, some dietary ingredients have anti-inflammatory properties and are therefore recommended if you have arthritis. Spices such as clove, turmeric contain anti-inflammatory ingredients to help joint and muscle pain. Other dietary ingredient such as milk and milk products are rich calcium and vitamin D and help to increase the bone strength and reduce risk of joint pain for people with arthritis. Previous articleIs your health insurance policy sufficient?